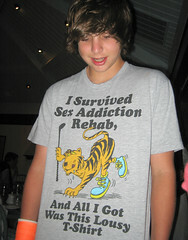 Several diverse programs which are effectively designed for the treatment of addicts to both drugs and alcohol, like residential treatment (otherwise known as hospital inpatient programs) and outpatient treatment regimes provide help for all sorts of addictions to drugs like heroin, cocaine, marijuana and alcohol for both adolescents and adults. All over the world there are specialised treatment centres for addiction and mental health, two closely linked issues. These treatment centres are structured to treat mental disorders and also the addiction to drugs and alcohol at the same time. These clinics primarily focus on stabilising addiction recovery and then giving patients ways to better cope with anxiety, depression and stress related conditions, without having to resort to alcohol, drugs or other addictive behaviours. Drugs and alcohol addiction also creates a lot of unnecessary imbalances in life. These efficient addiction treatment centres help to take charge and also get rid of such practices. Seminars, counselling, therapies and meditation are also used as tools to help the patients gain the most benefit from rehab. These addiction centres provide a relaxed and safe environment so as to help recover from the drug or alcohol addiction and also help the clients realize how there definitely is a life and opportunity beyond their addiction to drugs and alcohol. Alcohol rehab programs exist to help and assist individuals who suffer from addiction to learn how to live healthier lives interdependently (relying on more appropriate support systems) without any dependency on chemicals. These days a lot of information is provided online when we try to find a suitable addiction treatment centre for our loved one. But the problem arises when one has to decide which rehabilitation centre would be most helpful in enabling the client to refrain from the drugs or alcohol. The best quality addictions rehabs provide dual diagnosis treatment for their alcoholic or the drug addict clients, not only helping them to restrain from chemical addiction but also help them to lead a more meaningful, happy life. These addiction treatment centres help provide alcohol or drug detoxification then move patients into a phase where the longer term mental and emotional needs can be met, providing comprehensive alcohol or drug rehabilitation. It’s important that the dual diagnosis treatment can assess diagnose and treat patients struggling with depression, sleep disorders, panic attacks, mood disorders and so on and so forth. Some addiction treatment centres provide alternative pain management techniques like acupuncture, massage therapy, and also include the administering of pain medicines. It’s critical that recovering drug addicts and alcoholics learn to manage pain in non-chemical ways as their bodies have developed an allergy and won’t know the difference between medication used to treat legitimate pain and drugs that they used to get high. The main aim of these alcohol and drug addiction centres is to restore hope in the hearts of the client and also his or her family members. Addictions counselling is provided to the family during their loved ones stay and offered long term through aftercare group therapy and individual counselling once the patient has completed the initial primary care phase. One must understand that recovery from addiction is a long road fraught with difficult challenges for a drug addicted person. Addiction services like motivation enhancement therapy, cognitive behavioural therapy, and therapeutic medications are a few of the alternative treatment therapies that are available. Alcohol and drug addiction treatment have one main problem, sometimes it might help one to stay away from their source of addiction for a long period of time, and it might be seen that sometimes they have a relapse and that is when they simply cannot stay away from their addiction. However the care takers of these addiction treatment centres believe the longer a person abstains from his or her addiction the more likely he or she will be able to remain sober for the long term. Eoin Carter is the author of this article on Alcoholism Treatment Centre. Find more information on Alcoholic Rehab Clinic here.